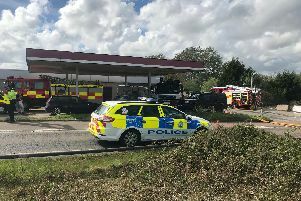 West Sussex Fire and Rescue teams were called to a blaze in a field off the A281, in Cowfold, early this morning (Monday, June 15). Two crews, one from Henfield and the other from Partridge Green, tackled 100sqft of flames at 1am. It was cleared by 2.30am. The incident is being treated as deliberate ignition.